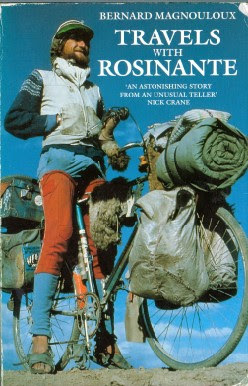 Here's a picture of Frenchman Bernard Magnouloux, who cycled round the world in the 70s and was an even worse dressed adventurer than James Penny. He had a £10 a day budget, made shoes out of inner-tubes, did it on a freebie bike with a few gears..and judging by his shorts, thoroughly enjoyed himself. Courtesy of Richard S, who hopes this image will help inspire James on his grand journey.